Developers working with the forthcoming Wii MotionPlus device have told TechRadar that the new technology is so accurate that it's actually "over responsive at times". Although a launch date has yet to be officially announced, EA is bringing out two games in June that will take advantage of a peripheral which will make the Wiimote much more sensitive. 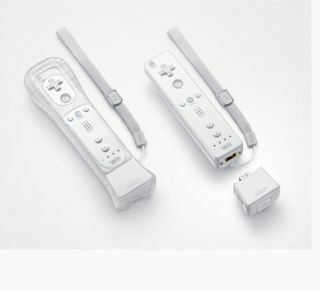 Thomas Singleton – who is the producer of EA's Grand Slam Tennis on the Wii – explained to TechRadar, in an exclusive interview on Wii MotionPlus, that the 'fidelity' of the Wiimote with the MotionPlus add-on was such that they had to make it less sensitive for the game. "It truly is giving you that one-to-one control movement of your arm motion and then mapping it directly to that one-to-one movement of your character on screen," said Singleton. "At times it's overly responsive. It had so much fidelity that at times we have limited that fidelity to make it a compelling experience and giving you full total control." TechRadar has already had a play with the Wii MotionPlus tech, stating "Playing a tennis game with Wii MotionPlus after playing the same game without the new, improved controller is the equivalent of taking the stabilisers off of your first bike. "It is taking your first baby steps into a world in which gaming is going to be a whole lot more fun than ever before. It's like going from VHS straight to Blu-ray."